Please fill out the form below indicating the order quantity for each item. Pricing includes shipping. *Sales tax will be added when required. 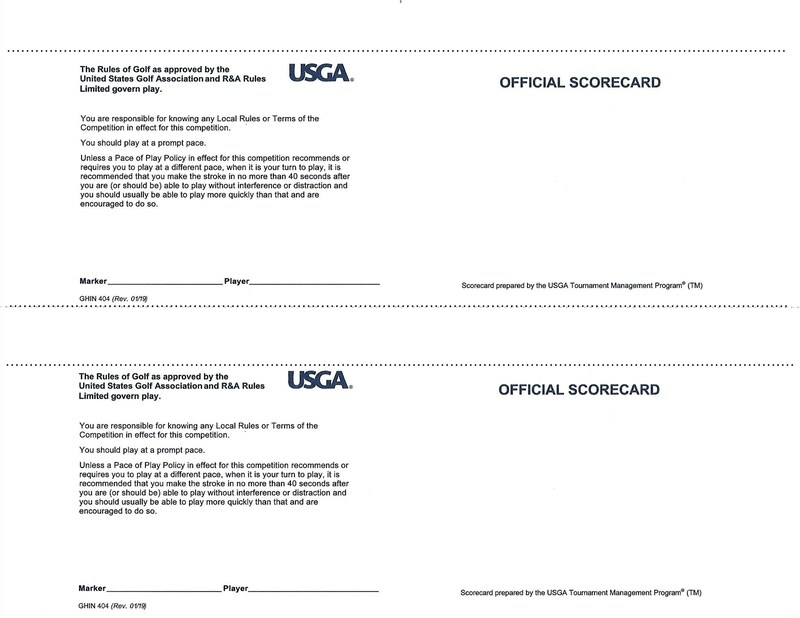 These are scorecards specifically produced for use with the GHIN TM-Club software. They have a single perforation across the middle of the card. They are blank on one side and have some rules guidance printed on the reverse. (see photos). Each sheet is 8.5" x 11" and will produce two scorecards. Box quantity is 500 sheets (1000 cards). These are scorecards specifically produced for use with the GHIN TM-Club software. They have a single perforation across the middle of the card. 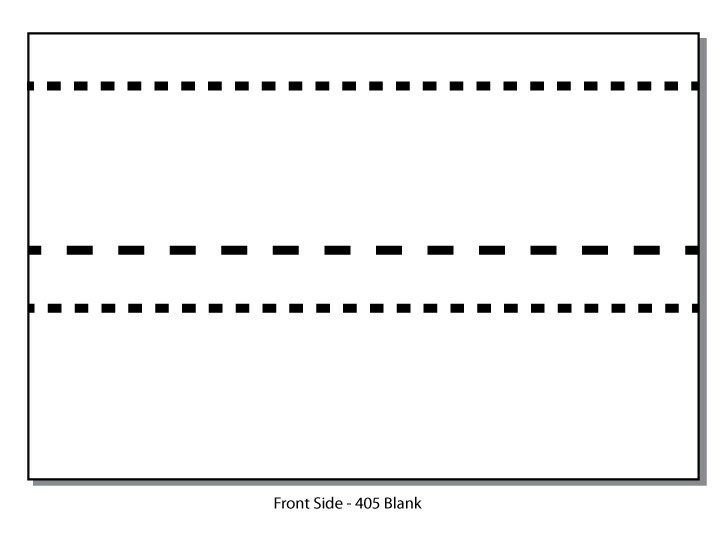 They are blank on on both sides of the sheet allowing for a scorecard to be printed on one side and custom information on the other. Each sheet is 8.5" x 11" and will produce two scorecards. Box quantity is 500 sheets (1000 cards). These are scorecards specifically produced for use with the GHIN TM-Club software. They have a three perforations across the card - one in the middle to split the page into two cards - and two additional perfs to allow for a marker tab tear-off strip on each card. They are blank on one side and have some rules guidance printed on the reverse. (see photos). Each sheet is 8.5" x 11" and will produce two scorecards. Box quantity is 500 sheets (1000 cards). These are scorecards specifically produced for use with the GHIN TN-Club software. They have a three perforations across the card - one in the middle to split the page into two cards - and two additional perfs to allow for a marker tab tear-off strip on each card. 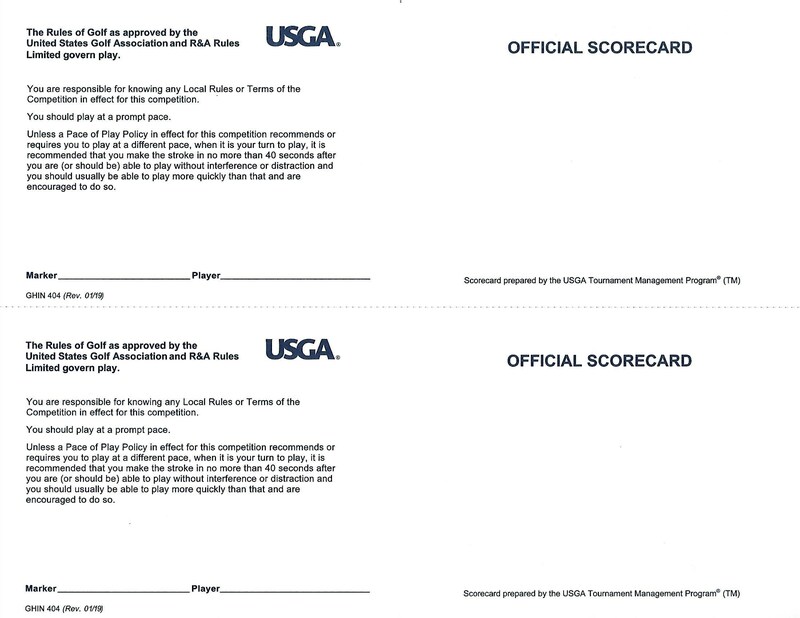 They are blank on both sides to allow printing of scorecard on one side and custom information on the other. Each sheet is 8.5" x 11" and will produce two scorecards. Box quantity is 500 sheets (1000 cards). These cart signs are specifically produced for use with the GHIN TN-Club software. They have a three perforations across the card to produce two 5-1/2" x 8-1/2" cards or two 4-7/8" x 8-1/2" cards for smaller cart information holders. 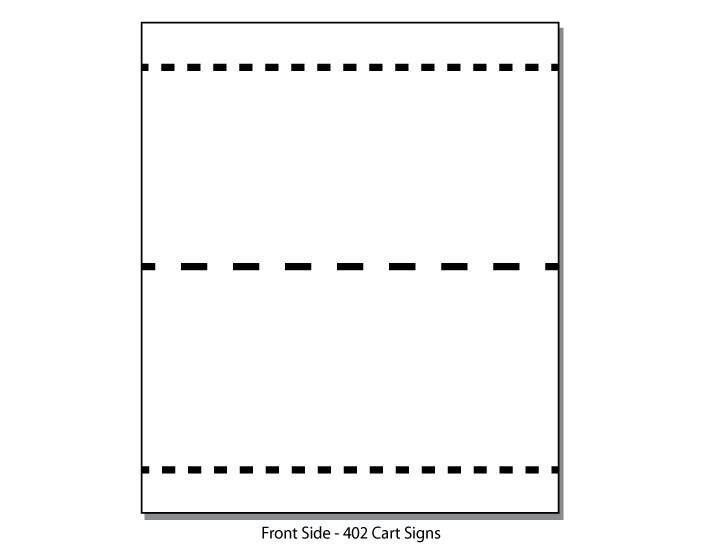 They are blank on both sides to allow printing of cart signs on one side and custom information on the other. Each sheet is 8.5" x 11" and will produce two cart signs. Box quantity is 500 sheets (1000 cards). A form used by GHP Admin Club or TM-Club to generate indentification labels to be placed on golf club shafts in case of loss or theft. 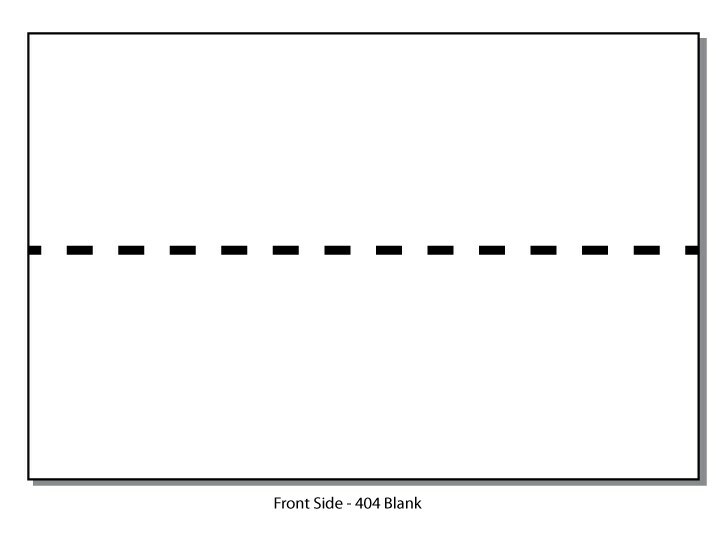 Sheets are designed to be used with a lasper printer. 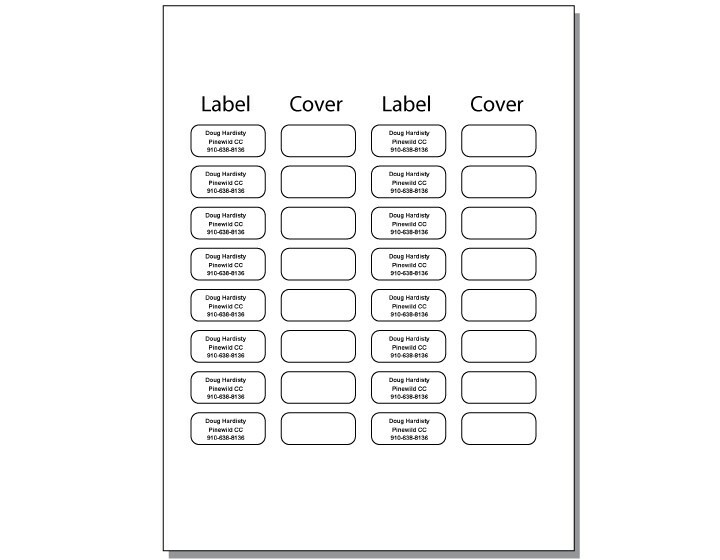 Each 8-1/2" x 11" sheet produces 16 ID labels. Each box containes 100 sheets.